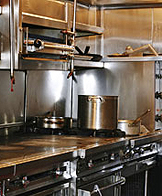 Discover a wide range of restaurant equipment and supplies from the pros at National Restaurant Supply. 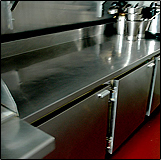 With more than 17 years of experience, our friendly professional staff provides an extensive selection of new and used restaurant equipment and supplies. Whether you are looking to outfit your new restaurant with top-quality name brands or you want to liquidate the old restaurant equipment you already have, we have the services you need to meet all of your requirements.